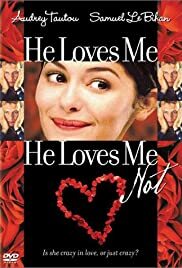 A young woman who is in love with a married doctor becomes dangerous when her attempts to persuade him to leave his wife are unsuccessful. However, when things are seen from his point of view, the real situation becomes clear. A hairdresser forwards a passionate love letter to her mother. 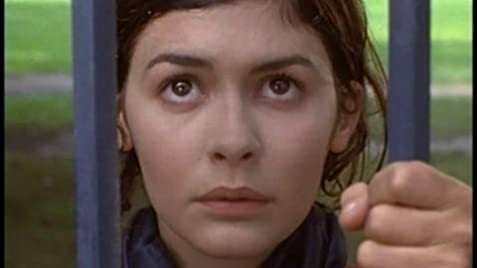 When Camille (Audrey Tautou) falls ill, she is forced to live with Philibert and Franck (Guillaume Canet). A moving trio story. A French woman mourning over the death of her husband three years prior is courted by a Swedish co-worker. An illegal Nigerian immigrant discovers the unpalatable side of London life. A strait-laced French student moves into an apartment in Barcelona with a cast of six other characters from all over Europe. Together, they speak the international language of love and friendship. How, thanks to what's known as the "Butterfly theory" (a random series of unlinked events), can a young woman and a young man meet ? Employees of a beauty parlor in search of love and happiness. Le fleuriste: One rose for the little lady. ©1964 by Editions Doma Bertkaempfert and Screen Gems-Emi Music Inc.
With the kind authorization of Warner Chappell Music France S.A., Emi Music Publishing France S.A., Emi Music France and Capitol Records U.S.A.
Audrey Tautou might at first sight seem to be an actress with limitations, but most of what goes through in her character's heads are shown in the eyes. This starts as a family comedy about the innocent girl sending her loved one flowers and other presents. But it gets worse and in the end you're watching a thriller that doesn't make you feel at ease. It becomes a story of life and death and not just in the physical way. The story is told from two view points. It remains exciting anyway. 19 of 28 people found this review helpful. Was this review helpful to you?